All of our doctors are bilingual in English and Spanish. They are trained in the treatment of fungal nails with the Cutera Laser. Dr. Vega works at the prestigious wound care centers of Presbyterian Intercommunity Hospital, Whitter and Beverly Hospital, Montebello. Our physicians can also be found at various AltaMed Community Clinics in the San Gabriel Valley. Michael R. Vega, D.P.M., F.A.C.F.A.S. Dr. Michael Vega started West Beverly Podiatry Group in 1986. He graduated from the University of San Diego in 1977, with a B.A. in Biology. In 1982, he received his doctorate from the Ohio College of Podiatric Medicine in Cleveland, Ohio. He completed his surgical and medical residency in 1983 in San Diego. 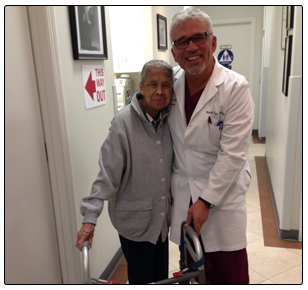 Dr. Vega is a certified diplomate of the American Board of Podiatric Foot and Ankle Surgery. He was appointed by the Governor of California to the Board of Podiatric Medicine of California from 1989-1992. During this time he served as President of the Board from 1992-1993. Dr. Vega also works at the Whittier Presbyterian Intercommunity Hospital Wound Care Center, where he helps heal complicated wounds of the foot and ankle. Dr. Vega is a member of the APMA and CPMA. He is a past member of California Latino Medical Association. Dr. Vega is a consultant for OrthoNet Medical. Shelley Gath, DPM is a Board Certified Podiatrist whose practice focuses on all aspects of the foot and ankle. She obtained her Bachelor of Science in Biology from Cal Poly Pomona. After her undergraduate studies, she received her Doctorate of Podiatric Medicine in 1998 from the California College of Podiatric Medicine. Her training immediately followed in Primary Podiatric Medicine and Podiatric surgery at USC and Corona Regional Medical Center. Dr. Gath emphasizes that your feet are the bio-mechanical foundation of your entire body. Dr. Gath was raised in San Gabriel Valley. She enjoys spending time with her two kids. In her spare time, she enjoys hiking, skiing and paddle boarding. In the past, she was a referee for AYSO region 2 and helped with Little League. She currently volunteers for her church and Boy Scout Troop. She holds leadership positions in Girl Scouts of Greater Los Angeles. She is a member of the American Diabetes Association and local Booster Club. Dr. David Hellewell attended Weber State University obtaining an associates of science degree. Later transferred to Brigham Young University majoring in psychology. 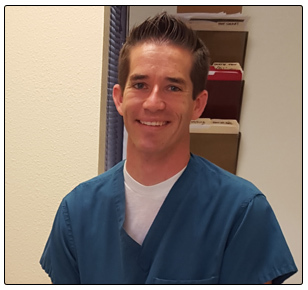 His interest in service-oriented occupations, desire to be challenged, aptitude for working his hands, and interest in improving patients quality of life on a personal level brought him to Podiatric Medicine. He attended Podiatric Medical School at Midwestern University in Arizona. He then attended a three-year forefoot rearfoot and ankle surgical residency. His interest in sports medicine led him to a 1 year Sports Medicine Fellowship where he worked with both Plastic Surgeons and Sports Medicine Podiatrists. His interest in helping those in need lead to a medical mission to San Blas, Mexico where he thoroughly enjoyed helping children with club feet and other foot and ankle related conditions. His non academic interests include surfing, wakeboarding, jiu-jitsu, rock climbing, running on the beach, making sandcastles with his children, anything beach related, and spending time with his family and two children. Dr Susanna Chan has been a wonderful addition to our group. Dr Chan graduated from University of California, San Diego and Western University of Health Sciences at Pomona for her Podiatry degree. She has been in practice since 2014 and worked at Long Beach Memorial Medical Center for her 3 year residency. Dr Chan speaks fluent Mandarin and Burmese. She has had extensive training in Wound Care and Amputation Prevention.